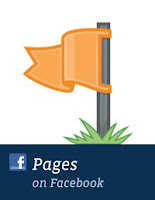 Want to delete your Facebook fan page Just follow simple steps and within 15 days your Facebook fan page will be deleted. You can delete fan page only if you are the admin of that fan page otherwise you can't delete .If your fan page. If you have lots of fan pages and you are not using it then i prefer to delete that fan page if there are no friends .Always create fan page which will help some people to share your knowledge . STEP2:- On the right side there will be a option called Edit Page Click on it. STEP4:- Click on Delete page name. if you want that page again then within 14 days you should Undo the settings. That's all you have successfully Deleted your unwanted Fan page.